Although packing light is generally the goal when hitting the trail, when you head out for a hike with kids, it can be wise to embrace the philosophy that says "It's better to have it and not need it, that to need it and not have it." At the same time, anyone who has kids and has attempted to leave their house on time for an event knows that there is a lot to think about and prepare for when venturing away from the home with little ones. We realize that this one might seem obvious, but it deserves the top spot on our list for a few reasons. First, it can be easy to think that sustenance isn't necessary for the short hike that you've got picked out for you and your youngster. After all, you can probably do it in only an hour or two, and anyone can go that long without a snack, right? Well, it's important to remember that those short legs and shorter attention spans can mean that you'll spend a lot more time exploring and playing out there than you anticipated. Plan accordingly and pack the snacks no matter how short the hike. Second, kids tend to have faster metabolisms than adults. This means that they can develop voracious appetites surprisingly quickly, especially when they're doing a lot of physical activity, like running around the woods. Finally, your usual energy bar made of sawdust and protein probably won't cut it with the kids, so think of foods that they might actually want to eat. If you do it well, you can even use those snacks to help get them excited for the hike and keep them motivated out on the trail. 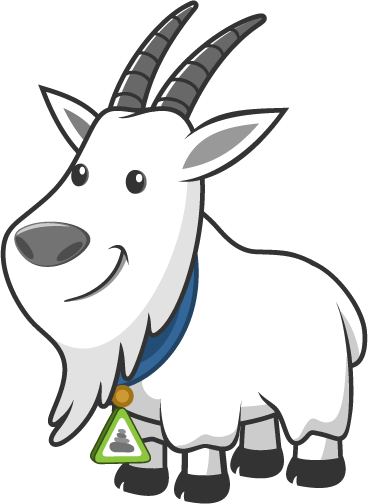 For instance, taking them to the bulk section of the grocery store and letting them concoct their own trail mix can get them looking forward to the hike, and using the occasional gummy candy as rewards for reaching milestones can help keep them happily hiking. Just kidding (pun absolutely intended). Seriously though, the outdoors is often much more enjoyable when you have someone to share it with. Kids like doing things with their friends just like adults do, and having the opportunity to take a friend along on a family hike could be a real treat. This is especially true if they're an only child. If it's a hike you've done together before, they'll probably enjoy playing guide and pointing out the sights along the way. The experience might even turn one more person on to the majesty of the wilderness. Who knows, you might even cause a whole other family to hit the trail together by inspiring a little advocate among them. Few things can have as drastic an impact on one's enjoyment of a wilderness adventure as their attire. Getting caught in the rain without a poncho, enduring the desert heat with jeans on, or developing blisters on your feet due to improper footwear can all be mega bummers on a hike. 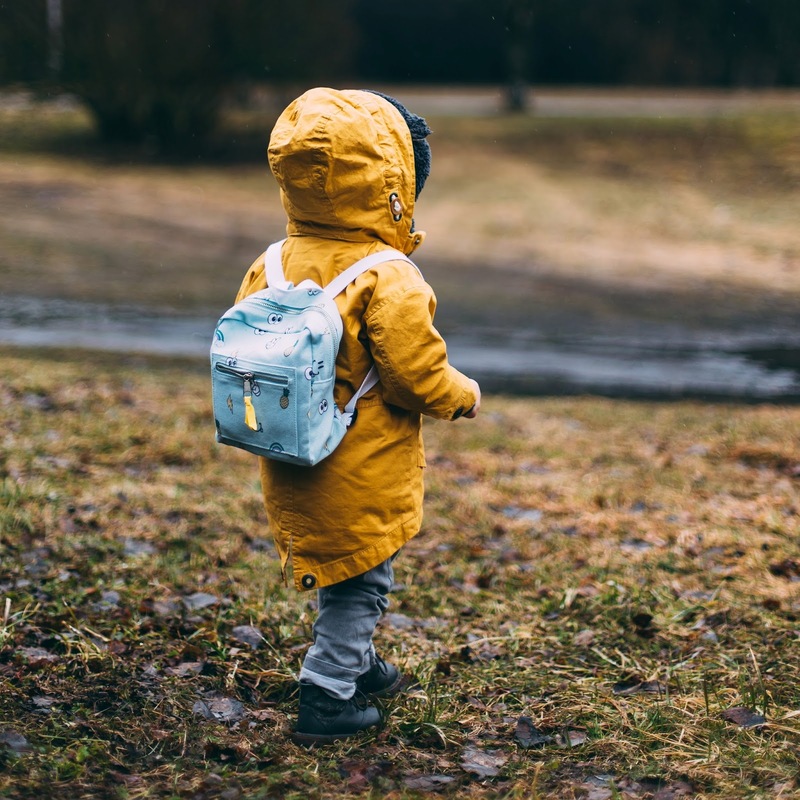 Think about where you're going to be hiking and what the weather will be like to make sure your half-pint hiker is properly dressed, or at least packed, for the day. The basic guidelines are the same as for you, starting with comfortable shoes that fit well to avoid blisters. Lightweight hiking pants are ideal because they protects their legs from the foliage, but they don't absorb water if they should get wet. For their upper body, just remember one word: layers. Think about the elements that they're likely to face on the trail (Sun, plants, cold, wind, rain, etc.) and make sure they have adequate protection from them. 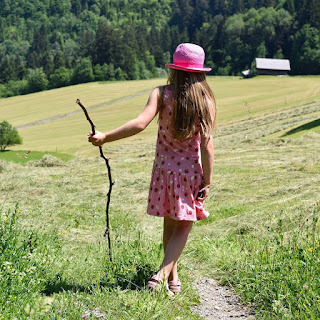 Okay, so this one might not be something that you need to bring, since you may be able to find one along the trail, but using a walking stick on a hike can be one of the coolest parts of the whole experience, at least at first. With it, they can pretend to be Gandalf leading the Fellowship of the Ring through Middle Earth, or they can just use it to keep themselves occupied by poking the odd plant or rock here and there. Whatever they use it for, as long as it's not hitting their siblings, a walking stick can make hiking a lot more fun for a kid. Who doesn't love going to the local outdoor retailer and looking at all of the clever gadgets? Taking a child on hike can be a great opportunity to both let them play with "grown up toys" and teach them a thing or two in the process. Teach them about how the Global Positioning System works and then let them experience it by using your GPS device to do some navigating. Show them how to use a mirror to signal for help from miles away. Practice making useful knots with that paracord bracelet. Train them when it's appropriate to use their emergency whistle. Demonstrate how to use a magnifying glass for more than just examining things close up by using it to start a fire. One of the most fascinating things about all of those camping store gizmos is how ingeniously practical they can be. Let's face it though, a lot of them seldom get used more than once, so use the opportunity to brush up on your own skills with the tools as well. 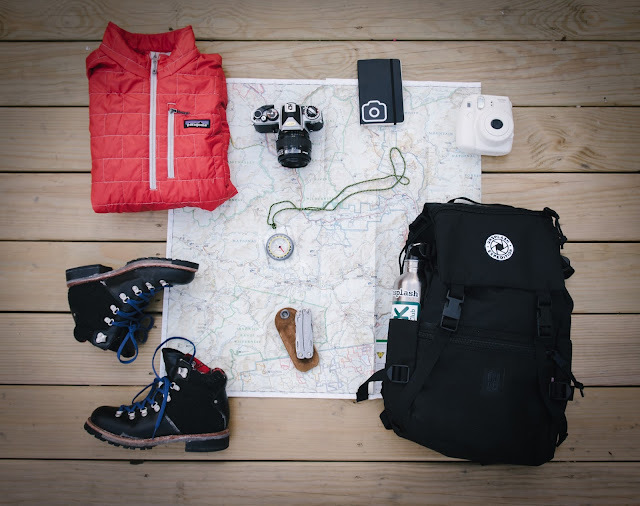 Unless you're a fan of hip belts or hiking vests, a backpack is one of the most basic pieces of hiking gear that every hiker should take with them. 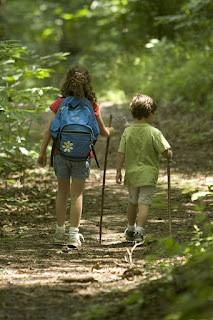 Therefore, if your child is going to go on a hike, it seems only fitting that they bring a backpack of their own. Of course you'll want to be mindful of the weight that they carry, since you don't want to turn them into a pack mule, but their pack would be a good place to keep their rain and cold weather layers, as well as a snack or two. Get your child one of those disposable film cameras that have to be wound up in between each shot and let them capture the hike as they experience it. After the hike, you can take them to get the pictures developed and you might even be surprised about what you notice as you look at the hike from their point of view. Get them to tell you about what they found interesting in each shot and after a few hikes, you might just have enough material to begin a hiking scrapbook project with them. Obviously they could use a digital device to snap their photos, but disposable cameras are relatively inexpensive so you won't have to worry about them breaking for falling in the water. Plus, getting actual film developed will be a novel and totally retro experience. When you mix children with the wilderness, chances are pretty good that you'll need at least a band-aid at some point, but a thoughtfully stocked first aid kit should have more than that. 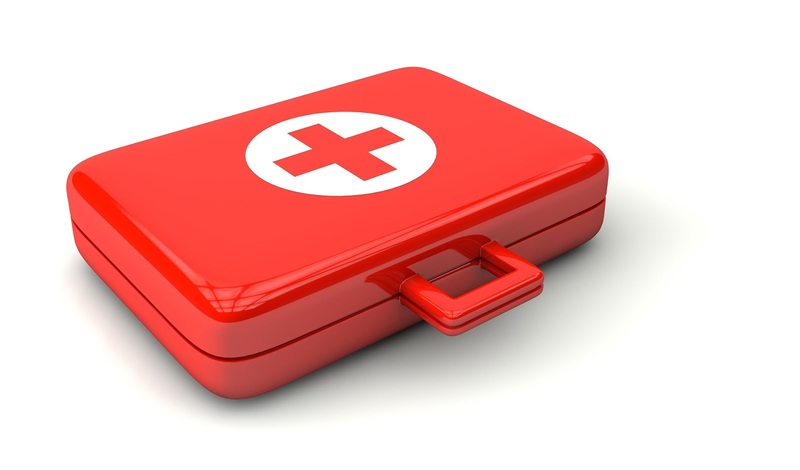 It's important to make sure that whatever first aid kit you bring while hiking with kids is stocked with supplies suitable for them. Carrying children's versions of medications like Tylenol is a good example, and of course you'll want to make sure you have an EpiPen handy if they're allergic to anything they might encounter out there. Beyond the child specific supplies, it would also be wise to carry liquid antihistamine; calamine lotion for bug bites; tweezers to remove splinters, ticks, and cactus needles; and moleskin for blisters. If they're potty trained, toilet paper and a shovel may be all that you need to help them do their business, but be sure to use the opportunity to teach them how to dispose of waste properly out there. If you're little hiking partner is still in diapers, you'll want to pack a couple of diapers, wipes, and a grocery bag to contain and pack out the disposable undergarments. 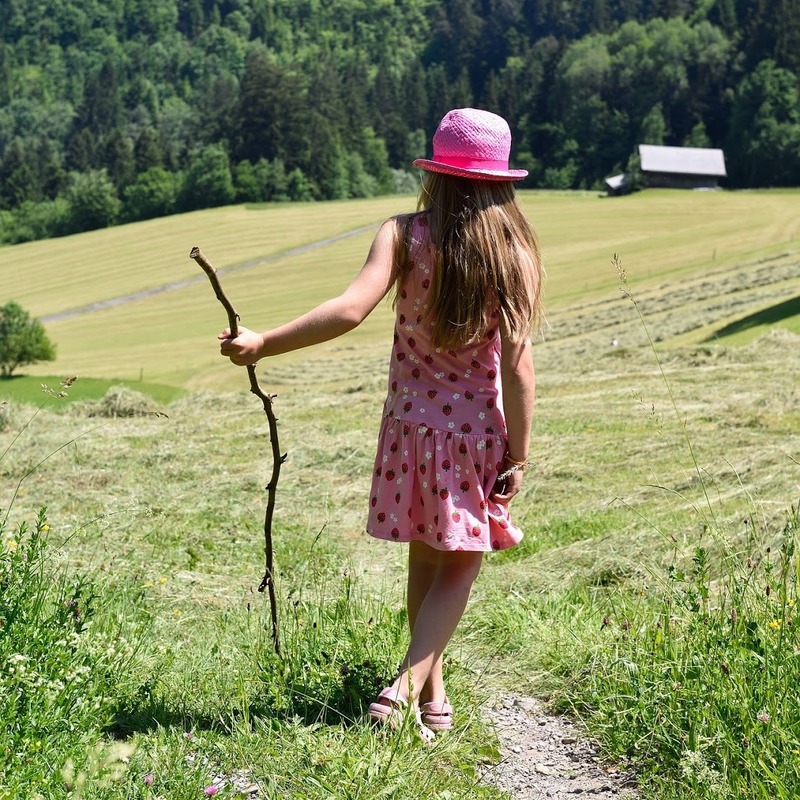 This one is only relevant for really little ones, but it's worth pointing out that just because your child can't yet walk doesn't mean that they can't go on a hike. 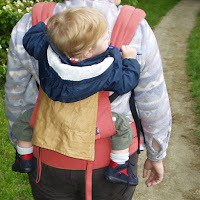 If you decide to purchase some sort of carrier in order to take your tot onto the trail, our two most important tips would be to first get them used to being in the carrier prior to the hike. Whether you put them in it and go for walks around your neighborhood or just in your kitchen, the more familiar they are with the carrier, the better. Second, make sure you are comfortable wearing it. If you purchased it from your local retailer, they'll probably be willing and able to help you adjust it to the ideal fit, and that can make all the difference when you're adding a couple dozen pounds to your back. It can get hot out on the trail and on hikes where heat is a factor, you'll want to be prepared with ways to cool your child down. A wide brimmed hat to keep their face shaded. A spray bottle to give them a little mist from time to time. A cool-off sponge necklace that can be wet, frozen, and re-wet as needed. Before the hike, make a craft project out of creating their necklaces by picking up a couple of inexpensive colorful sponges, let them cut out various shapes, and put them all onto a string that can be tied together as a necklace. Wet it down and put it in the freezer the night before the hike for a fun accessory that will help keep them cool. Does your child have a favorite action figure or teddy bear? If so, they might like to play with them in a whole new environment. 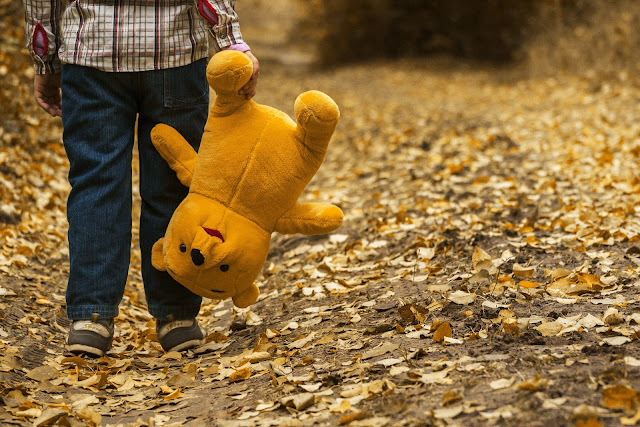 You could make up stories together as you hike about what the toy does out in the wilderness just like Christopher Robin's Pooh Bear in the 100 Acre Wood. Those are our top 12 tips for putting together your packing list when hiking with a child, but we'd love to hear from you. Are we weighing people down with too much stuff or is there an important item that we missed completely? Tell us your thoughts in the comments. Hi my friend! I want to say that this post is amazing, nice written and come with almost all vital infos. I would like to see extra posts like this .